All of our floater frames are available made from basswood, and two styles are also available in soft maple- (please call or email for maple floater frames as they are not currently available for an add-to-cart purchase.) 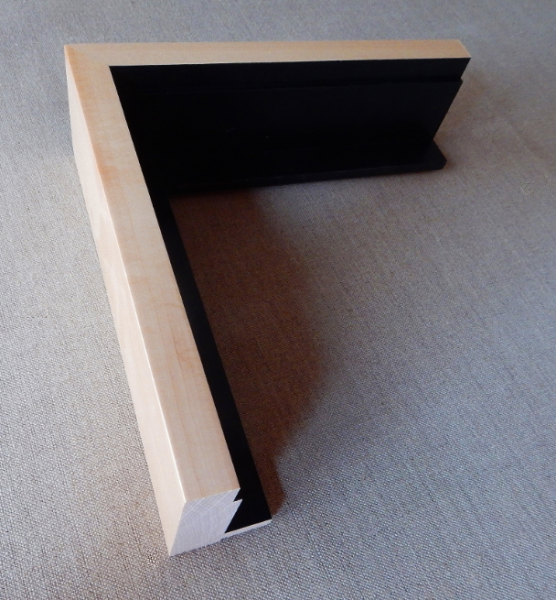 The default finish is painted black on the inside, clear lacquer on all sides of the frame. When coated with lacquer, basswood can look very similar to maple, and weighs much, much less. The example pictures below are all made with basswood. 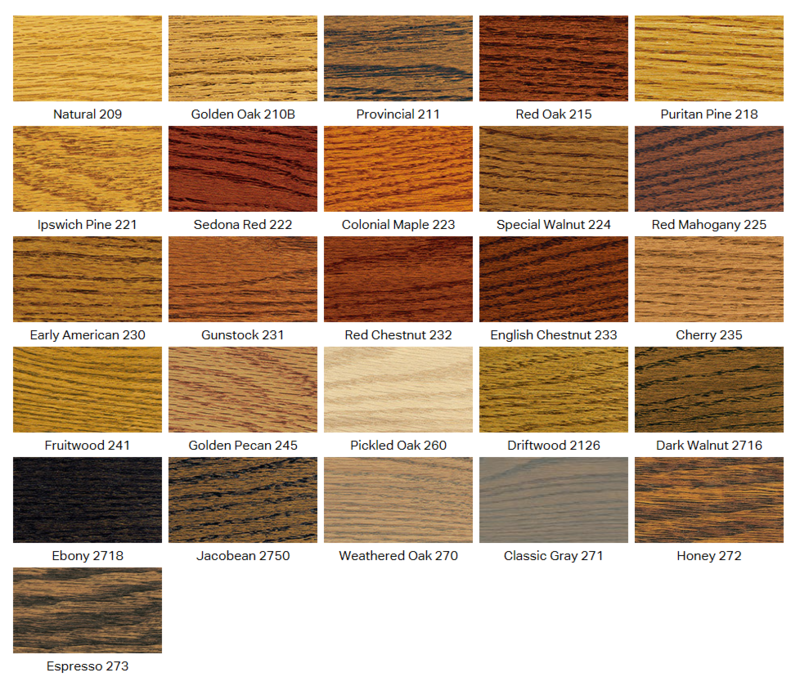 Maple's "muted peach tone" is a cooler colored wood compared to the warm yellow of basswood. 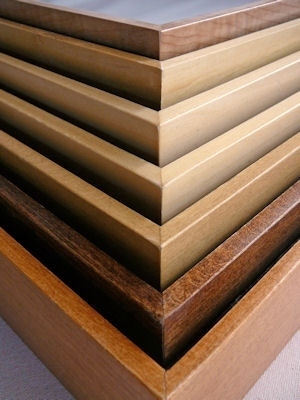 We added the option of maple because it is a traditional choice for framing, though much heavier. Compared to basswood, maple is a bit more ding and scratch resistant and has a more pronounced grain pattern consistent with the traditional, maple frame look. 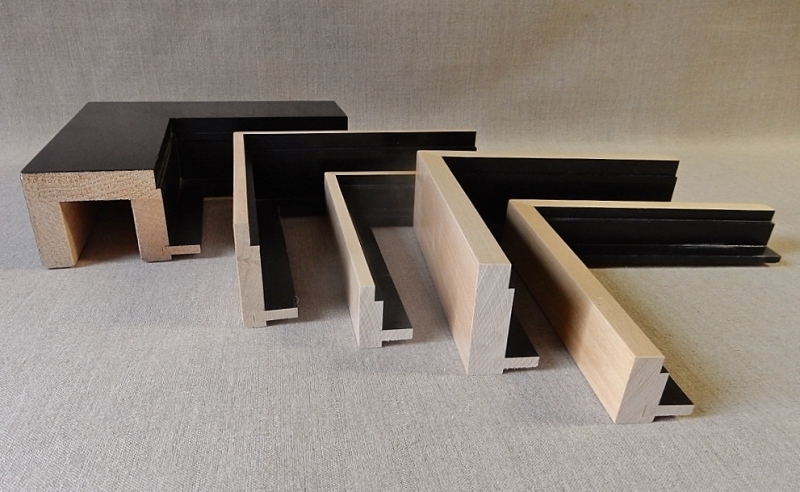 Our standard floater frames have a 5/16" face; a 5/8" face is optional at the same price. 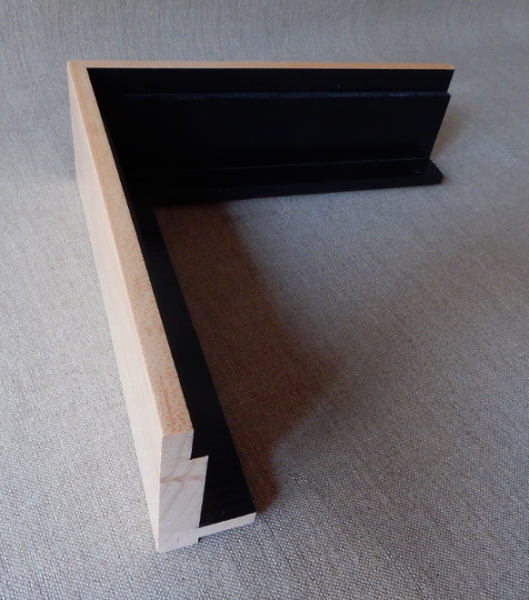 We also have a 3" wide face available. The face is the front side of the frame that will surround your artwork and show on the same plane as your artwork when mounted on the wall. Above: a variety of floater profiles. Far right = 5/8" width face. Middle = 5/16" width face. Far left: 3" wide face floater, black lacquer. Above: 3" wide face floater frame, 2.5" depth, black lacquer over front and sides of frame, then coated with a clear lacquer. Right: maple floater 5/16" face, 2.5" deep. Painted black inside, clear lacquer all sides. 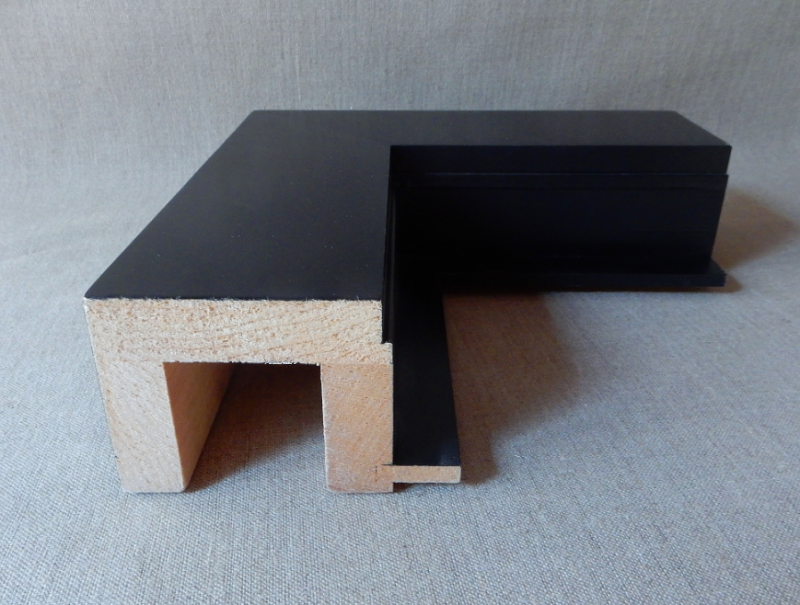 Our standard floater frames come in a 1-1/2" depth or a 2-1/2" depth. When combined with spacers or inserts, they can be used with many different depths of stretcher bar paintings, cradled panels, strainers or plein aire panels. 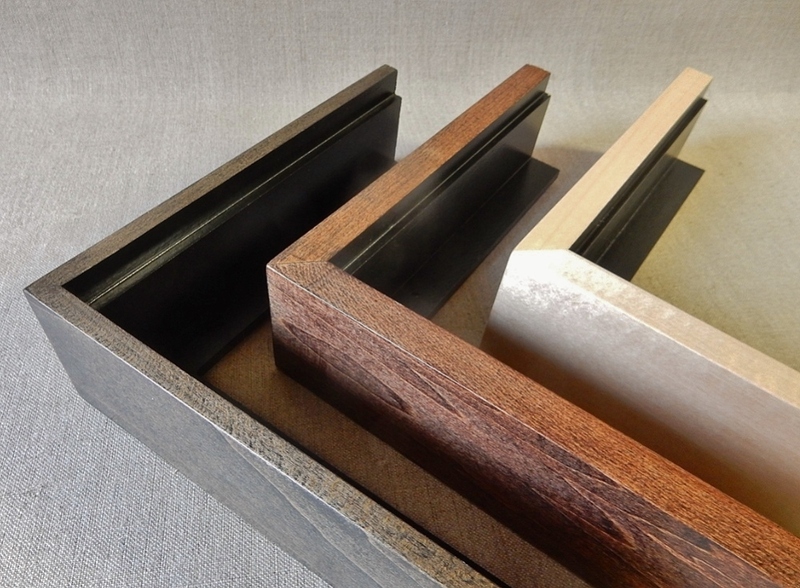 The 1.5" frames allow artwork up to 1" deep to be fitted. 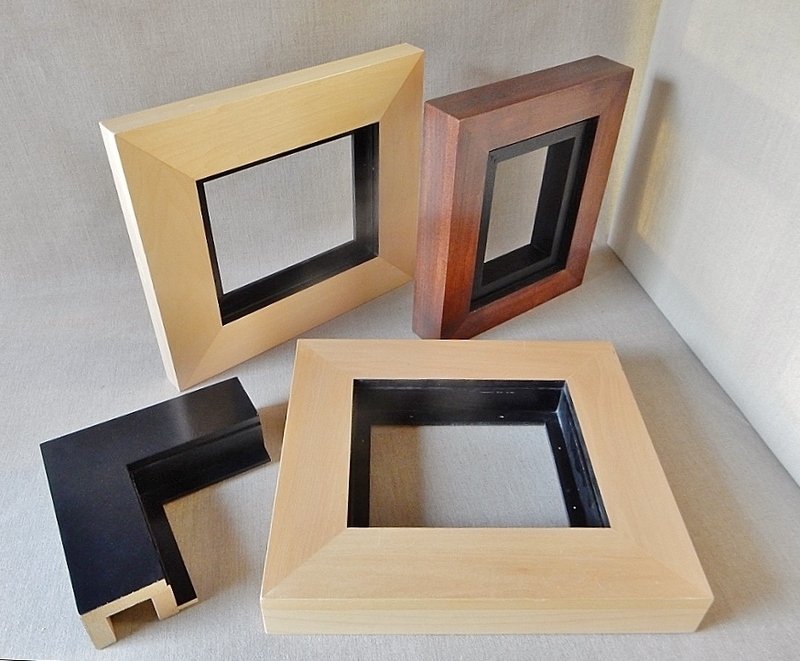 The 2.5" frames can be used with work up to 2" deep. 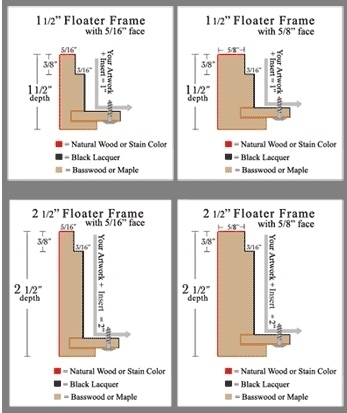 If you're unsure which floater frame depths to use with your artwork, call or email us with the dimensions and depth of your artwork and we can help determine which depth of floater frame will work best. 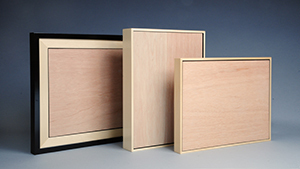 If needed, we'll make inserts/spacers to raise your art to correctly match the face of a floater frame. This is also a great option to improve the appearance of art pieces created on masonite, gatorboard, canvas panels or other thin panels. Above: wide face floater frames. Reddish frame has a 2" wide face, 2.5" deep. Blonde frame in foreground has a 3" wide face, 2.5" deep, the other blonde frame above is 1.5" deep and 3" wide. The all black lacquer frame is 3" wide, 2.5" deep. - or stained and then coated with clear lacquer. Below: Far left stain color is Ebony (one coat- our default on this color), middle stain is Red Mahogany. Far right has no stain. All are sealed with clear lacquer. The interior of each floater frame is covered in a lacquered black finish. This enhances the appearance of "floating" for your artwork. We provide instructions so that a floater frame is easy to install. You use the screws we provide in the pre-drilled holes on the back and attach your stretcher bars or panel to the frame. Paintings created on our 4mm marine grade mahogany plein aire panels or created on Masonite, gatorboard, canvas panels or other thin panels can easily attach to our specially designed plein aire floater frames utilizing the supplied Velcro tabs. Larger sizes of floater frames can be shipped unassembled with thumbnail inserts/butterfly wedges for you to use in assembly. This requires glueing, the wood glue is not provided.